Washington Irving, American author, 1783-1859. In 1824, Irving published a collection called Tales of a Traveller, which included the short story, The Devil and Tom Walker. In the story, Tom Walker, a miserable and miserly fellow, makes a deal with the devil in which he agrees to receive Captain Kidd's buried treasure in exchange for taking up a career as a usurer, doing the devil's work. The negotiations aren't described in detail in the story, but the pattern of the story is similar to many other stories, films, plays and folk tales about deals with the devil, in one important respect: the devil deceives his negotiation partner with respect to significant details of the deal. (This concept is perhaps best summarized in the maxim, "The devil is in the details.") An amusing twist on this pattern can be found in an episode of The Twilight Zone, "Of Late I Think of Cliffordville," by Rod Serling. 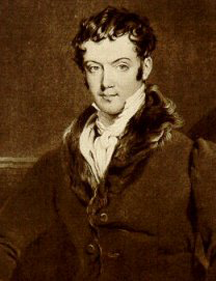 Image of Washington Irving in 1820, from a painting by Gilbert Stewart Newton, courtesy City of Birmingham, United Kingdom. Unlike flat-footed lies, which mislead by misinforming, deceptions mislead by causing the target to mis-think. Artful deceptions insert data into — or trigger reactions within — the minds of their targets, to cause them to make incorrect inferences or conclusions favorable to the deceivers. To evaluate the ethics of deception, we must understand the situational context. For example, the nurse about to draw blood from a four-year-old boy might say, "This will pinch a little, but you're a big boy, right?" It's a deception, but few would call it unethical. Ethical or not, most would agree that negotiations are fairest to all, and best for the represented organizations, when the process is free of deception. Recognizing deceptive techniques is often all that's needed to defeat them. Once we're aware of a particular deception, it loses much of its power. Here's Part I of a little catalog of deceptive negotiation techniques, emphasizing persuasion. Part II focuses on deceptive techniques for drafting agreements. In what follows, Donald is the Deceptive partner, and the Other partner is Olivia. Olivia voices concern about part of the proposed agreement, noting that it's unfair in certain specific circumstances. In response, Donald explains the (supposed) intent of the language, and notes that it is benign in other circumstances. He suggests that Olivia is being unreasonable or insulting for even considering the issue she identified. This is an attempt to make Olivia doubt her own reasonableness and generosity of spirit, or to make her believe that she is excessively fearful or suspicious. Donald is using shame to cause Olivia to abandon caution. In response to Olivia's expressed concern, Donald offhandedly says, "Oh, that's just our standard language." Here Donald seeks to mollify Olivia not by addressing her concern, but by asserting, "we always do this." He wants to create a sense that "authorities" have approved the language, that it's legitimate and benign, and that it cannot be changed. Olivia expresses a concern, to which Donald replies, "Everyone else we've worked with has always agreed to this language." As the pair invests more time in the negotiation, Donald can use threats to limit Olivia's objections. When she objects to conditions Donald recently added to the agreement, he might fault her for raising the issue "at this late date," asking whether she wants to be known as someone who "negotiates in this manner." Intimidation is especially effective, because Donald need not deal with issues he can prevent Olivia from raising. In this example, Donald threatens Olivia's reputation, but threats of any kind can work. Would you like to see your comments posted here? rbrenThwkHojtEZtWGpfMner@ChacRRbMdCMIHrqyxHiboCanyon.comSend me your comments by email, or by Web form. I offer email and telephone coaching at both corporate and individual rates. Contact Rick for details at rbrensrhOCfYbuwshmkuSner@ChacXPZOCRXfkdACydLBoCanyon.com or (650) 787-6475, or toll-free in the continental US at (866) 378-5470.